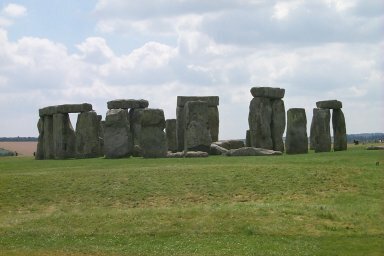 Stonehenge is one of the most famous monuments in England, thousands of tourists visit it every year. Which is why you can't get very close to it to avoid erosion. I decided not to pay the several pounds entry fee and just took the pictures you can see below from outside the perimeter fence. As you can see on the bottom right picture you don't get much closer if you pay the entrance fee, although you have the benefit of an audio guide (one of these handheld things) and can see it from all sides. 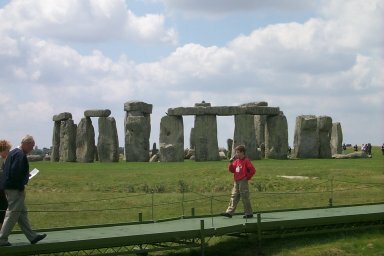 If you are interested you can also see an older picture of Stonehenge. 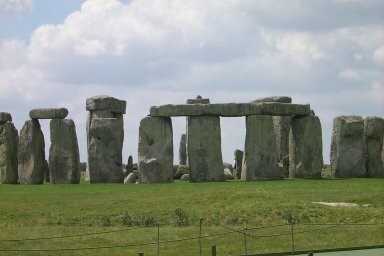 You might also be interested in a visit to Avebury, where you can go much closer to the stones. And where the entrance is free. 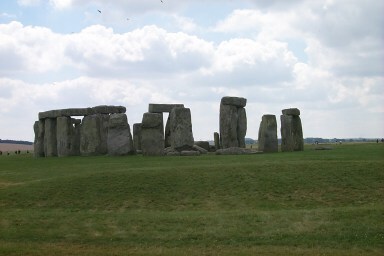 Alternatively you can order a DVD "Stonehenge - A Journey Back In Time" to visit it at home.